I order from you from time to time. I’m Bob from Colorado. I need to order some Cypermethrin from you anyway, and if it will work on these critters too, I’ll just get it. The things are on a lilac branch about 1/4 inch thick to give you an idea of their size. They aren’t moving so they may be dead … we trimmed the bush a week ago and it’s been laying in the sun. It’s been very dry here and the lilac bush is quite old! Any idea what they are and if the Cypermethrin will work? Here is a pic. Great photo! I’m pretty sure these are a type of insect scale known as oystershell scale. In case you don’t know scale, they’re very slow moving. Most people can’t even tell scale is an insect because many species don’t look like any kind of insect. This particular species looks more like a slug and not an insect. Unfortunately CYPERMETHRIN is not a good active to use on them. But what will work is BIFEN mixed at the rate of 1 oz per 10 gallons of water. Add 2 oz of SPREADER STICKER in the sprayer to insure good thorough coverage. This would be your best bet if you want to treat now, while it’s warm. Alternatively you can wait till the winter and use DORMANT OIL. Use a good HOSE END SPRAYER to apply the solution. They use the power of your homes water pressure and can usually reach 25-30 feet up no problem. I have a Japanese Willow, (a bush) which has been grafted to a tree trunk. It has been gorgeous with colorful fronds that splay out 5 to 10 feet for the past 10 years. This year was different, poor growth and no color. I brought out an arborist this fall and he found that the tree branches were covered with Oyster Shell Scale…solid coverage of limbs in most cases..devouring the sap from the tree. He said he’d never seen anything like it before. He recommended an oil treatment to suffocate them in the spring. Not a cure all but would bring them under some control. I suggested a significant cutback pruning this fall to get rid of a lot of the scale, and do the oil treatments in the spring. Just wondering if there is anything else that would eliminate them or bring them under control? My trim job is going to eliminate 70 to 80 percent of this years vegetation. ..this tree/bush always booms with new growth. It was also suggested not to use an insecticide as it would also kill the good insects that feed on the scale. The other option is to cut it down and replant. Is this tree “savable?” I do live in southwest Michigan near Kalamazoo to give you some idea of climate available. Will appreciate any suggestions or advice. First, there is a good chance you can “save” you willow. And though trimming back vegetation which has active scale might make it look “healthier”, the bottom line is that if you don’t kill off the current scale, the tree will die. The reason I say this is because in most cases, scale will focus their attention on the part of the host plant which is vital to the plants existence. And if you remove these vital parts, its not likely to grow back at the same rate or attain the same “beauty”. So in most cases, killing the scale and refraining from excessive pruning will give it the best chance of survival. Second, lets say you remove this willow and replace it with another willow. If you did this without first treating the active scale, the new willow would no doubt succumb to a renewed oystershell scale infestation as well. 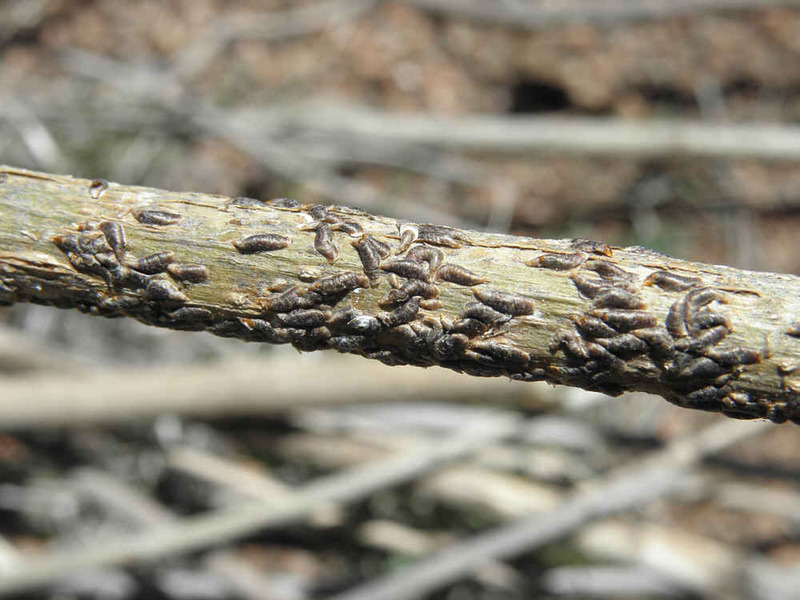 This will happen because once scale is established in a certain area of the yard, it will slowly migrate around looking for new host plants (this is how it found your willow in the first place). So at this point the oystershell may have identified your willow as a prime host plant but rest assured it will move onto other plants if left to do as it wishes. In other words, new willows brought into the landscape would no doubt be targeted right away but since oystershell scale can feed on a wide range of plants, it will readily to forage to other plants if no willows are present. Third, there appears to be some confusion regarding dormant. I say this because from your comment, it would appear that you believe Dormant Oil is not an insecticide? So if you believe that to be the case, let me take a moment to provide some details about Dormant Oil. You see, dormant oil is very much a pesticide. And as such, it requires an EPA registration number (you can find this number on its specimen label). And if you review it’s label, you’ll see that dormant oil will kill a wide range of insects just like any other insecticide. However, Dormant Oil is a lot more powerful. I say this because unlike most of the products we sell, Dormant Oil can kill most all stages of insects including eggs and pupae. This feature makes it a lot stronger compared to regular sprays because in the end, it has a much bigger impact when used. Since most of the products we sell break down in 2-3 weeks and can’t kill eggs or pupae, one must constantly use them over and over. Especially when it comes to persistent pests like scale. 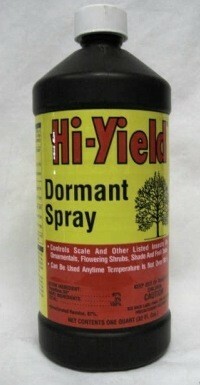 But with Dormant Oil, you can kill everything on the plant in one application. In fact we have people applying dormant oil throughout the year for many pests like aphids, mites, scale, whitefly and caterpillars. But it also kills ladybugs, roaches, millipedes, centipedes and many more “beneficial” pests which feed on scale. 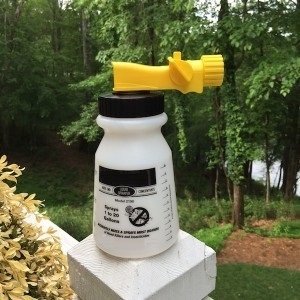 So in this case, whether you spray now with either Cypermethrin or Dormant Oil, you will be killing any insect active on the plant whether its “good” or “bad”. Since we don’t want to “spread” the scale, it would be best to spray the willow now to kill off as much of the scale as possible. This way even if the willow doesn’t make it, at least when you take it down you will know the scale has been minimized (if not eliminated) before you disturb the landscape with the tree removal and cause any still alive to relocate. 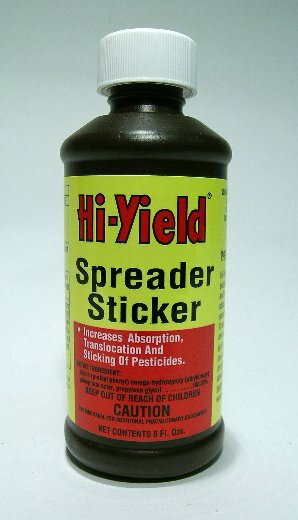 And if we establish the goal is to kill as much of the scale so it doesn’t keep spreading, I suggest using the Cypermethrin and Spreader Sticker listed above. It will work quickly and once a week treatments should knock out the problem in just a few weeks. Now why choose the Cypermethrin over the Dormant Oil? The main reason would be the net impact. You see, unlike Dormant Oil, Cypermethrin can’t kill insect eggs. So if your goal is to have the least amount of impact from treating, the Cypermethrin would be the preferred product of choice since it will only impact currently active adult and larvae insects whereas the Dormant Oil will kill all stages of anything living on the tree. In other words, the Dormant Oil will no doubt kill off all insects including some you feel are beneficial and therefore overall, be more destructive compared to Cypermethrin. Hi guys, My name is Chad and I am in Colorado. I have a pretty decent Oystershell scale problem on one of my very large aspens. They start about 6 ft up from the ground and go up to about 20ft. I see conflicting reports in the other comments about when to use Cypermethrin or Bifen. I want to treat now and it’s starting to get warm out. Trees haven’t started to bud yet but that’s only a week or two away. What would be the best bet for me as the correct product to use? Get the Bifen, Spreader Sticker and Hose End Sprayer listed above. It will take care of them well and cost a fraction to use compared to Cypermethrin.